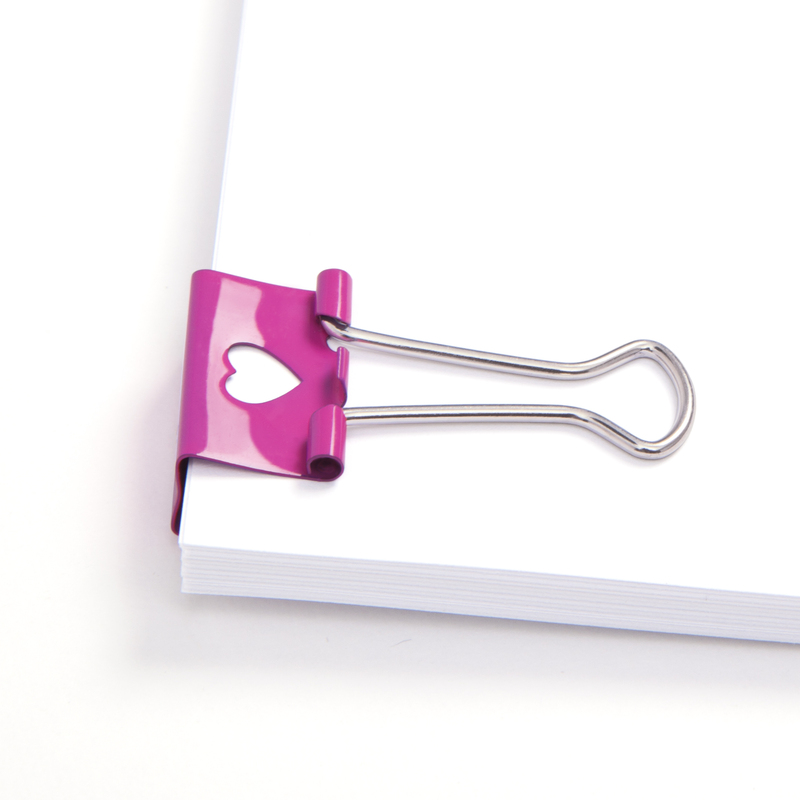 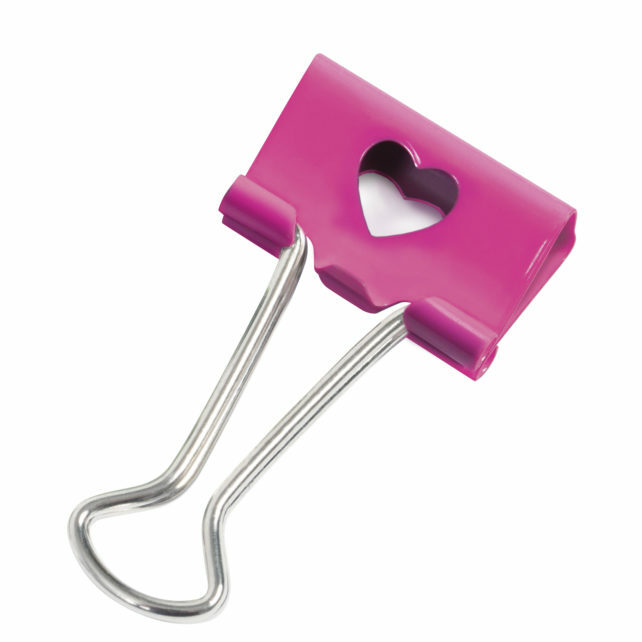 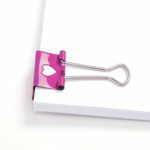 Add a little fun to your organising with our pink foldback clips with heart-shaped cut-outs. 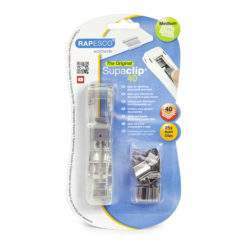 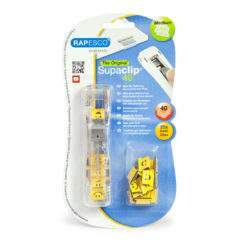 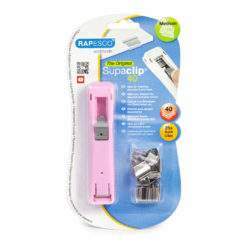 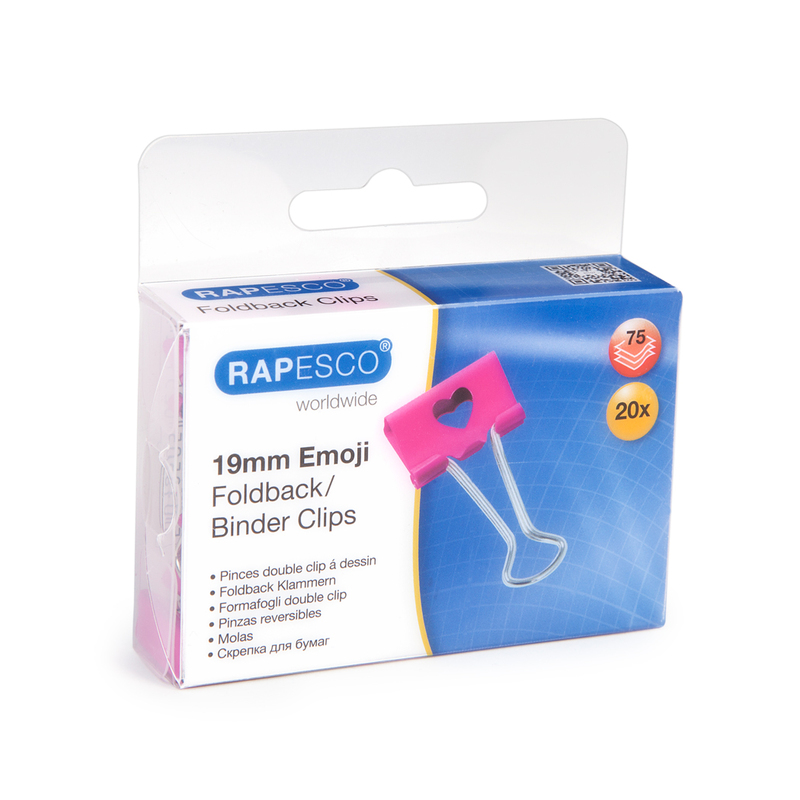 Ideal for holding both paper and card, these clips hold documents tightly and securely and can be removed and reused time and time again without damaging the paper. 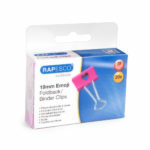 These attractive pink clips feature a heart-shaped cut-out design.